Piano Briefcases An exciting item at DRUM BUM. This professional, black, canvas briefcase will fit your planner and sheet music, and also hold your iPad or music accessories. 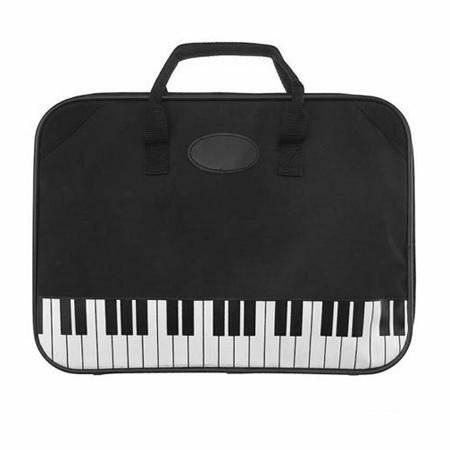 Whether you are in an office or teaching at school, everyone will see your passion for music after seeing the piano keys design printed on the front of your bag. There are 4 deep pockets on the inside. Very nice! Size 16″ x 12″.